Coretta Scott King was one of the most influential female leaders in the world. She was the wife of civil rights leader Martin Luther King, Jr. Coretta King was an American author, activist, civil rights leader, singer and founder of the King Center in Atlanta, Georgia. Coretta was born on April 27th, 1927, near Marian, Alabama. She was third of four children of Obadiah Scott and Bernice McMurry, who farmed their own land. Her father was the first African American in the community to own a truck. She graduated from Lincoln High School. She received a Bachelor of Arts in music from Antioch College in Yellow Springs, Ohio, and then went on to study concert singing at Boston’s New England Conservatory of Music, where she trained to get a degree in voice and violin. 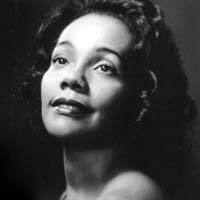 Coretta Scott was well-known as a singer and a civil right activist. She often incorporated music in to her civil rights work. She met Martin Luther King during her music training in college in Boston. At that time, King Martin was completing his doctorate in systemic theology at the University. Coretta got married to Martin Luther King on June 18th, 1953, and moved to Montgomery, where her husband accepted an invitation to be the pastor of Dexter Avenue Baptist Church. Coretta Scott King played a significant role in the Civil Rights Movement of the 1950’s and 1960’s. She participated in marches and rallies led by her husband. When he received the Nobel Prize in 1964, Coretta was by his side. After the assassination of Martin Luther King, Jr., she continued working towards for equal rights in various ways. She took up the leadership role in the Civil Rights Movement. She involved herself in various national and international programs for the community, nation and world. This included several causes, such as LGBT rights, women’s rights, world peace and other economic issues. She participated in various demonstrations against South African racial policies. She was one of the founders of The Committee for a Sane Nuclear Policy (now known as Peace Action). She led goodwill missions to several countries in Africa, Asia, Europe and Latin America. She was the first woman to deliver the class day address at Harvard. In 1968, Coretta Scott King established The King Center as a living memorial to her husband’s life and dream. She worked for over a decade to have her husband’s birthday, January 15th, be observed as a federal holiday. She received several honorary doctorates from more than sixty colleges and universities.